Rattlesnakes are one of North America's most iconic symbols. 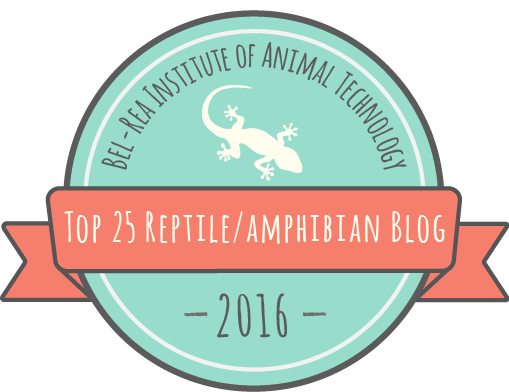 I think of them as herpetological Bald Eagles, only more diverse. Our continent boasts all 41 species, from huge diamondbacks to tiny pygmies, all of which diversified from a common ancestor 10-20 million years ago. Both American Indians and America's founding fathers viewed rattlesnakes as symbols of independence and strength, and new research is revealing that they are among the most social and behaviorally complex of snakes, caring for their young and displaying signs of spatial awareness and self-identity. Large species may take as long as ten years to become sexually mature, reproduce only once every three years in the northern part of their range, and live up to 30 years. Although many people fear rattlesnakes, comparatively speaking you are more likely to be bitten by a dog, struck by lightning, killed by office supplies, by your pajamas, or by just about anything other than a venomous snake in the USA. However, numerous communities in Alabama, Georgia, Kansas, New Mexico, Oklahoma, and Texas [Edit: Melissa Amarello of Advocates for Snake Preservation tells me that the Kansas & New Mexico roundups have been discontinued since 2007 for economic reasons.] 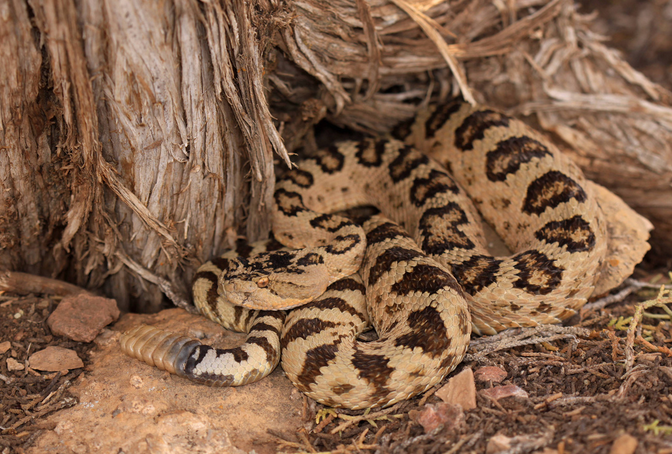 carry out annual rattlesnake roundups, events with the purpose of exterminating wild rattlesnakes from the landscape. Wholesale slaughter of rattlesnakes and other venomous snakes is nothing new. Already in 1750 the Swedish naturalist Pehr Kalm observed that "Formerly there were large numbers of these snakes in New Sweden as well as in other parts of North America now occupied by Europeans; however, they have nearly been exterminated." The first recorded bounties were paid to rattlesnake hunters in the 1680s in Masssachusetts. At first, communities and informal groups organized roundups in an attempt to improve public safety—although whether rounding up and killing rattlesnakes actually accomplishes this goal is debatable. Financial gain was not the purpose of early roundups, because the rattlesnakes themselves were considered worthless. 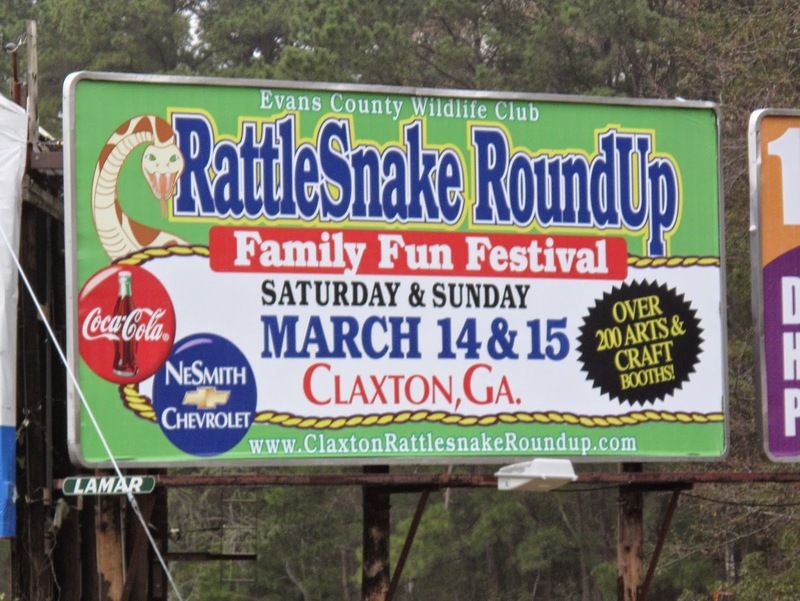 In the 1950s, civic organizations such as fire departments, Jaycees, Kiwanis, and the Lions Club took on the role of organizing roundups, which became larger and began to gain more commercial potential; people would pay to attend and would support vendors by buying rattlesnake products. Modern roundup organizers are primarily motivated by raising money for their local community or for charity, and rattlesnake roundups are now more similar in nature to other public events, such as county fairs or rodeos. Most include other events, including occasional educational programs and/or daredevil shows, as well as music, dances, beauty pageants, and carnival rides (some to the point where the rattlesnakes are more of a sideshow, such as the case of the roundup in Freer, Texas). The population of the small communities where these events occur can increase tenfold during roundups, and millions of dollars can enter the local economy, only a small percentage of which come directly from the sale of the rattlesnakes. As a result of geography, competition among one another for visitors, and declining demand and prices for dead rattlesnakes, 36 of the 47 rattlesnake roundups in Texas closed their doors between 1991 and 2006. 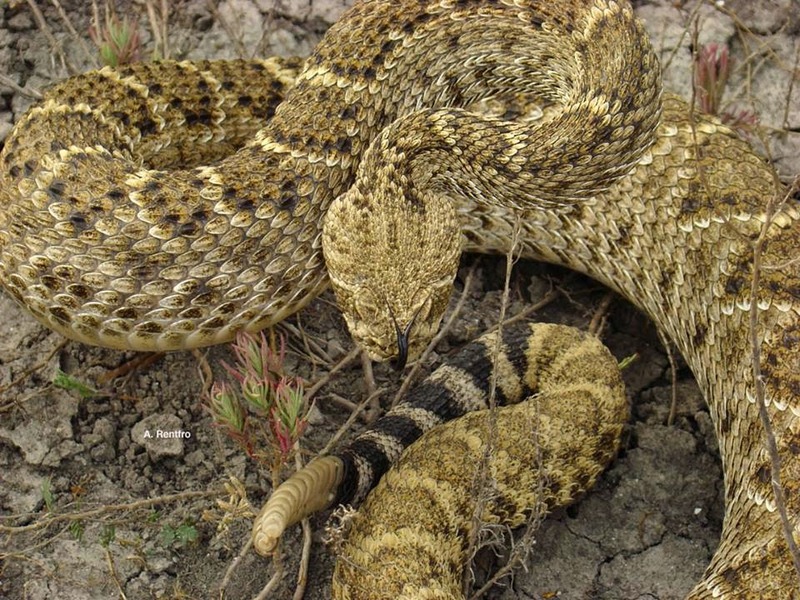 Texas state laws have also increased the requirements for hunting rattlesnakes, requiring a costly non-game permit and prohibiting collecting snake on roads, and high gas prices have made the costs of hunting snakes over wide areas prohibitive, as many herpers know. In the past, rattlesnakes gathered for roundups were shot, stomped, buried, or otherwise wasted. Now, at the Texas roundups that remain, all parts of the rattlesnake are used: the venom is ostensibly sold for antivenom production and medical research2, the meat cooked and eaten, often right there at the roundup, the rattles, heads, and skins made into curios and souveniers, the gall bladders are sold to a growing Asian-American market, and the remaining guts are used for fish bait. It's likely that the incentive to amass live, healthy rattlesnakes of commercial value has reduced the amount of cruel and inhumane treatment that the snakes suffer, although snakes subjected to the exploitative and sensational daredevil contests or otherwise manhandled for the amusement of the public are certainly not treated ethically, and I doubt such behavior would be tolerated if its target were any other kind of animal. Indonesia. One cylindrophiid is visible in the upper right. Photo by Nurcholis Anhari Lubis, National Geographic. At a broader scale, the economic incentives associated with rattlesnake roundups might also provide incentives for communities to "manage" their local rattlesnake populations and prevent their extinction. Is it possible that rattlesnakes might one day be regulated as a game species and managed, as we manage deer, turkey, quail, and so many other species? 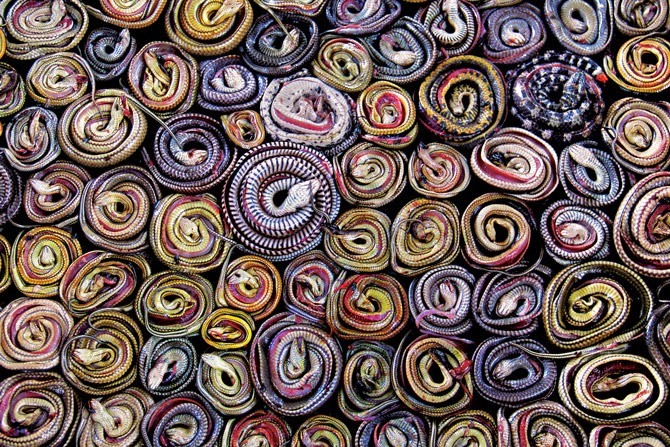 Probably not, unfortunately—it is extremely difficult to know how many snakes are in an area, because mark-recapture techniques used for other wildlife are hampered by the low detection probably of individual snakes. As a result, state DWRs aren't very likely to try to manage snakes as game species, even though western diamondbacks in Texas effectively are one, because are traded and have a market value, at roundups and also outside of them. New techniques for monitoring snakes and programs to enhance management efforts for non-game wildlife, such as State Wildlife Action Plans, could help bring about this change. It's an approach that has worked for crocodilians, which are harvested for their meat and skins, and it might be needed to help regulate the billion-dollar global snake trade for food, skins, and pets, particularly in light of emerging markets in southeast Asia. Even some wildlife biologists are reluctant to view venomous snakes as wildlife rather than as pests, and as a result the responsible management of venomous snakes is lacking. 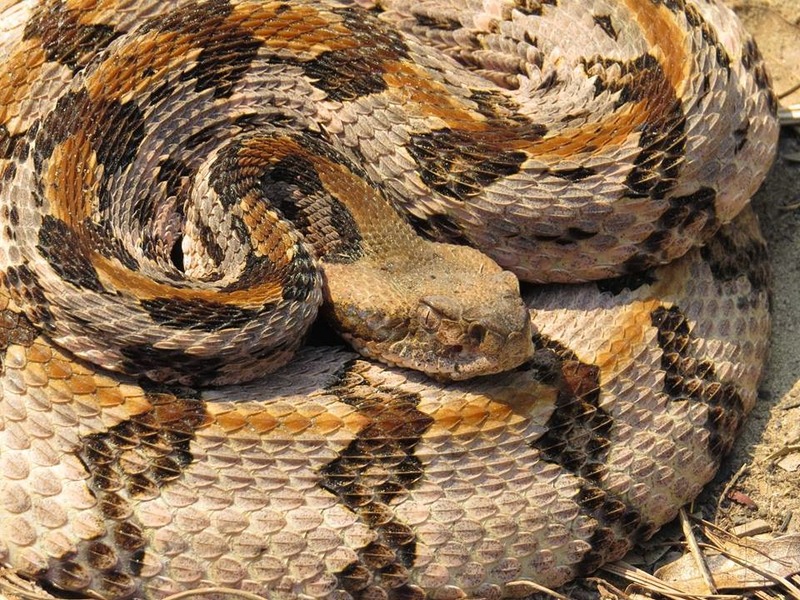 For instance, in Georgia there are essentially no restrictions on the harvest of non-threatened "poisonous" snakes, whereas non-venomous snakes and most other non-game wildlife are protected. It might be beneficial if we started managing more herps as game rather than non-game, if only because more people would care if they disappeared. If state wildlife agencies mandated that rattlesnake hunters mark and release a certain portion of their catch, and those hunters hunted the same areas every year and at the same time of year (which already happens), and the same effort were put forth in control areas where no snakes were removed, then a real monitoring program could be built. A modeling exercise showed that a minimum size limit could protect most females, improve hunter profits, and has the potential to result in a sustainable harvest, particularly in the southern part of Texas where western diamondbacks and their populations likely grow rapidly. of the USA. Even so, most people will never see one. Evidence from roundup reports suggests that rattlesnake roundups in Alabama & Georgia are indeed negatively affecting populations of eastern diamondbacks, whereas limited evidence suggests that those in Texas and New Mexico [Edit: The New Mexico roundup is now defunct.] 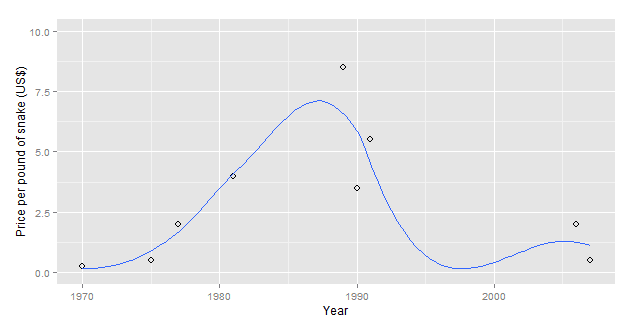 might not be affecting western diamondback populations quite so much—the average number of western diamondbacks brought to the Sweetwater roundup (about 2,900; range 800-9,700) did not decrease between 1959 and 20063. 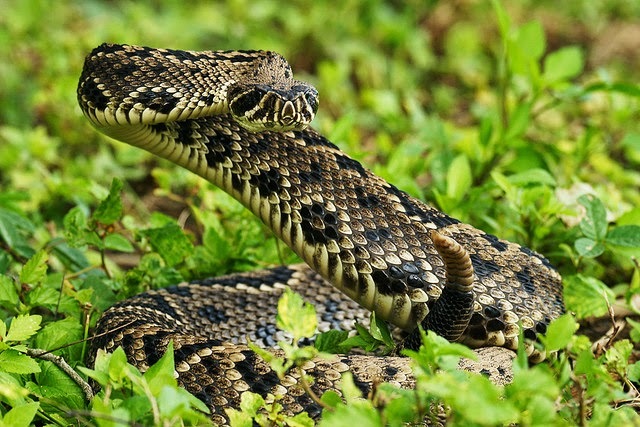 It's likely that Timber Rattlesnake roundups in Pennsylvania were once quite harmful, considering the extent of habitat development throughout the range of this species and its reliance on a limited number of communal dens, but a Pennsylvania state law has prohibited the killing of native venomous snakes since the 1970s4. Certainly different species of rattlesnakes respond differently to harvest; some are more fecund than others, and differences in lifespan, age at maturity, and biological interactions also play a role. A survey showed that many roundup organizers and rattlesnake hunters believe that roundups do not harm rattlesnake populations, but they also paradoxically think that removing rattlesnakes from land does protect humans, pets, and livestock from rattlesnake bites. In reality, the ecological effects of removing predators are as unknown and controversial as ever. Ecological research has shown that predator control does not always accomplish what people think it does. The ecological effects of pumping gasoline fumes into rattlesnake burrows and dens in order to evacuate the residents (which is how the majority of rattlesnakes brought to roundups are collected) are also unclear, although it's hard to imagine that they aren't negative. As for the claim that rattlesnake roundups prevent snakebite, there is little to no data to support or refute this claim, but I find it very hard to conclude that this is true. Snakebite in the USA is already so exceedingly rare that any reduction in its incidence would be almost impossible to detect, and fine-scale data to assess the rate of snakebite in the areas hunted for rattlesnake roundups do not exist. Bill Ransberger, a rattlesnake handler from Sweetwater, says he has been bitten 42 times by rattlesnakes since 1958, a number that represents about one-twentieth of one percent of all the rattlesnake bites in the USA during that time period. There really is no way to evaluate the number of snakebites caused or prevented by rattlesnake roundups. along Interstate 16 in Georgia in 2009. All told, habitat destruction and fragmentation are probably worse for rattlesnakes than roundups, although actual estimates of the effects of either on rattlesnake populations are scarce and fraught with uncertainty. The destruction of rattlesnakes at roundups or by other means has probably never benefited livestock or grazing lands or human safety or "the balance of nature". The educational messages at roundups, if they exist, are mostly ones of "bad environmental science and senseless risk-taking". However, it's hard to deny that the roundups, particularly Sweetwater, have become symbols of community identity, publicity extravaganzas, and boons to struggling local economies. Today, between 17 and 25 roundups exist in towns in seven states [Edit: four states: Texas (10), Oklahoma (5), Georgia (1), and Alabama (1); five states if you count the 8 catch-and-release events in Pennsylvania]. Whether these events transform into more positive, respectful events, or wither and die, probably has more bearing on the future of the communities that host them than on the future of rattlesnakes. But, in keeping with the theme that wildlife-human interactions ought to be more respectful than they are, foresightful roundup organizers might want to imitate those in Georgia and Pennsylvania by beginning to shift the focus of their events towards conserving and learning more about native wildlife, perhaps by focusing on finding rattlesnakes in order to contribute data about them to citizen science programs. It's time we start treating rattlesnakes with the poise and dignity with which they treat us. If you're aware of other reformed rattlesnake roundups or events that portray venomous snakes in a positive way, please let me know in the comments! Thanks to Dave Irving, Rich, Augustus Rentfro, and Nurcholis Anhari Lubis for the use of their photographs. Campbell, J.A., D.R. Formanowicz Jr, and E.D. Brodie Jr. 1989. Potential impact of rattlesnake roundups on natural populations. Texas Journal of Science 41:301-317.